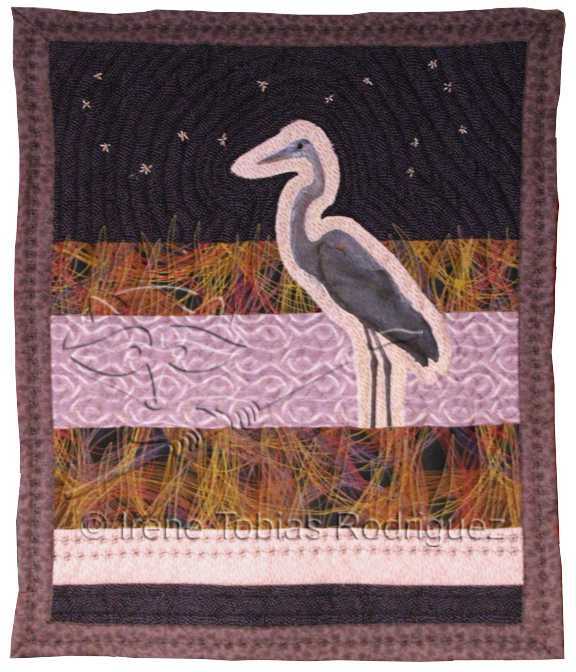 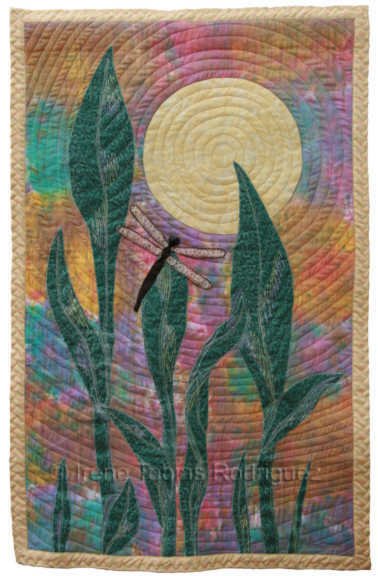 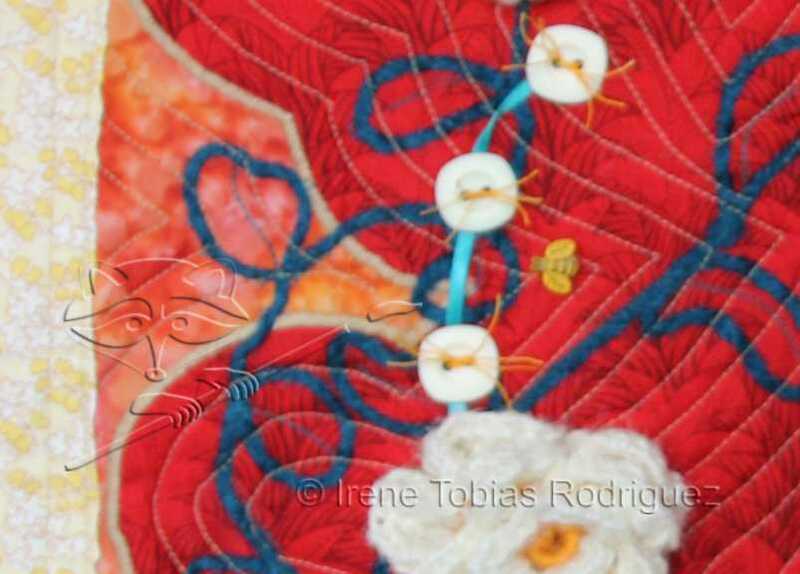 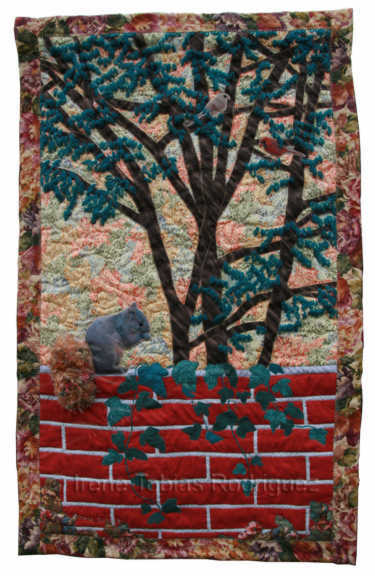 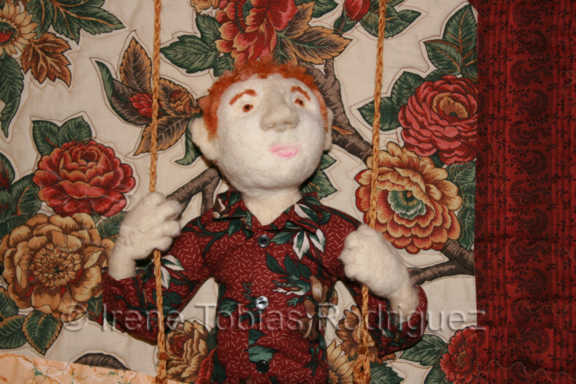 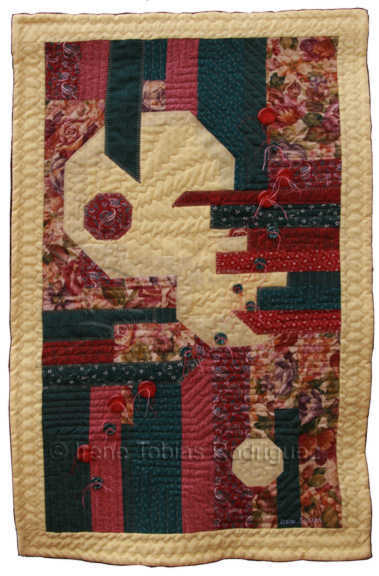 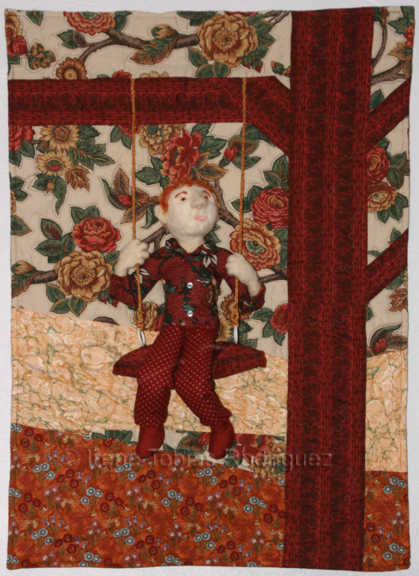 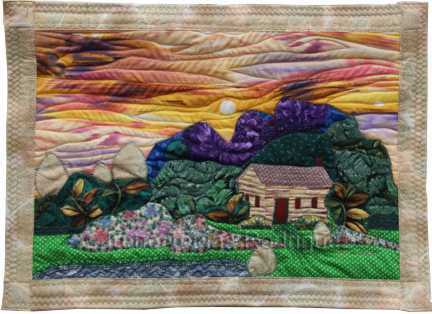 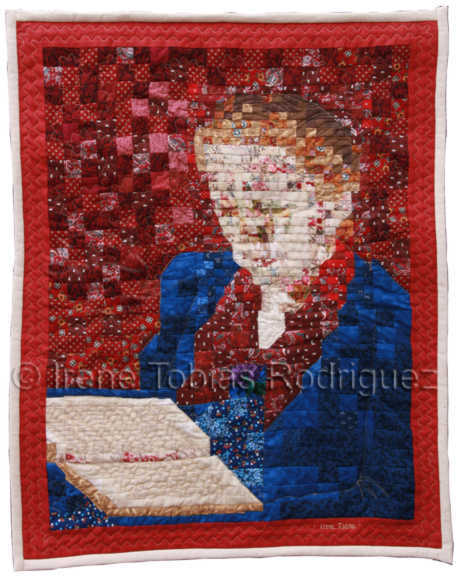 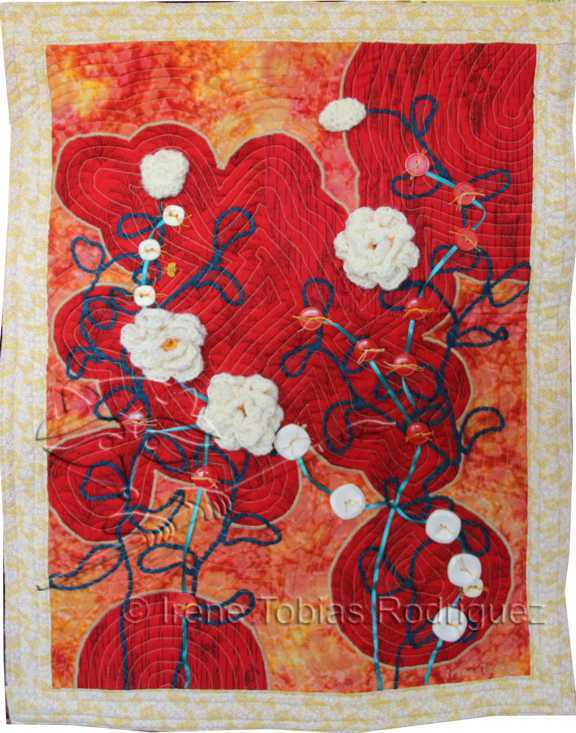 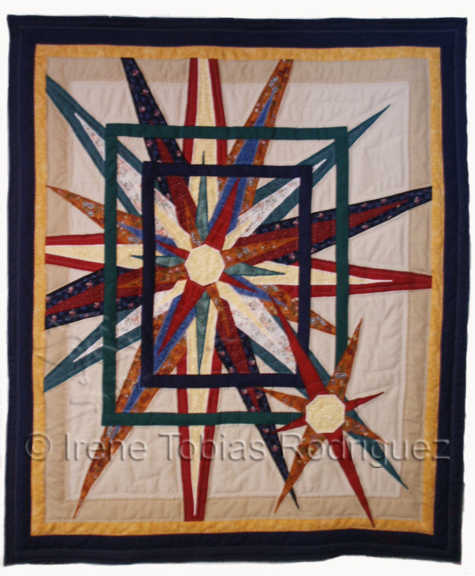 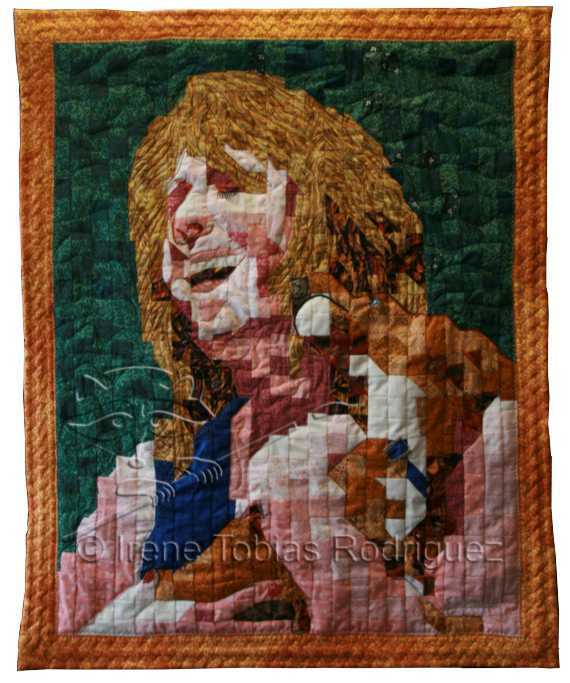 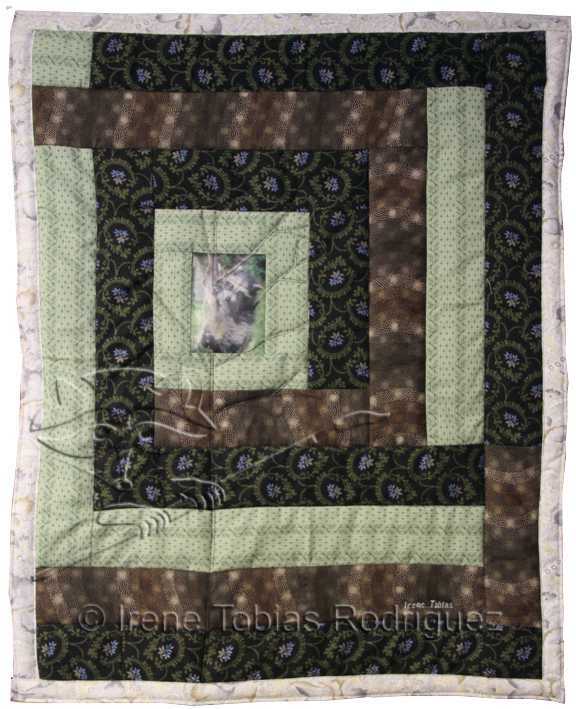 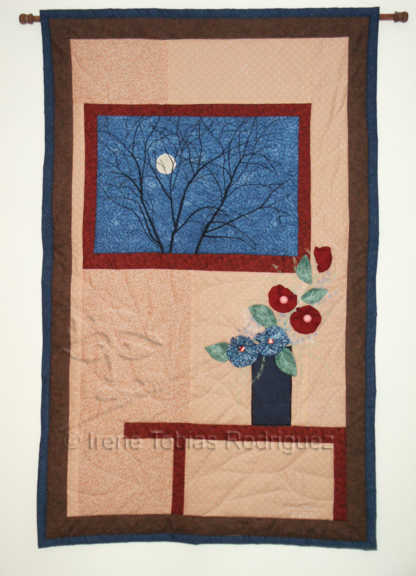 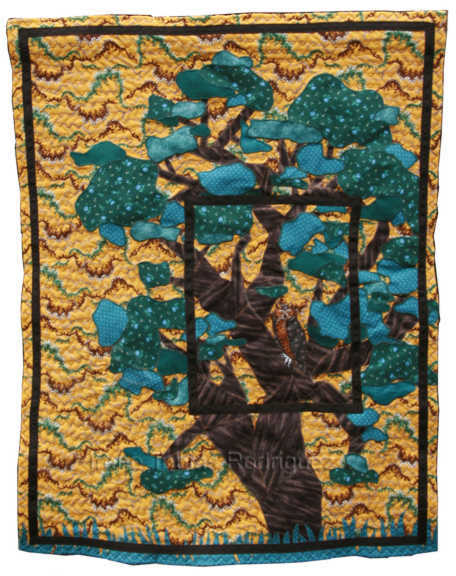 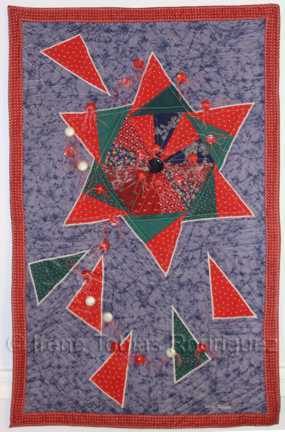 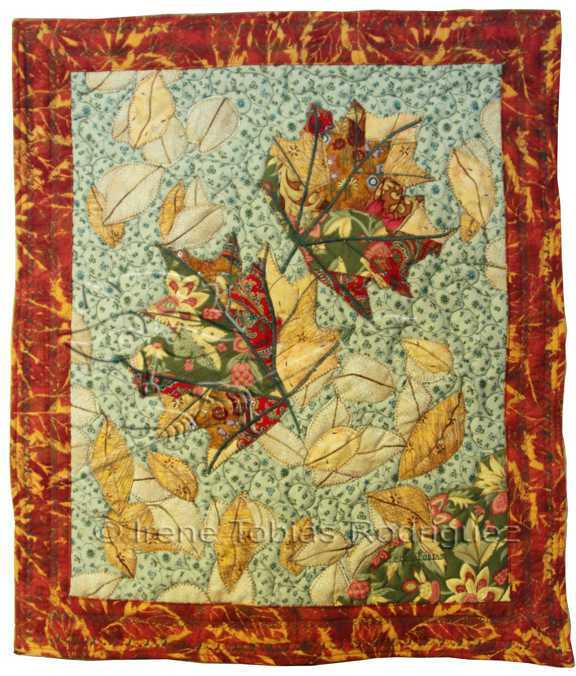 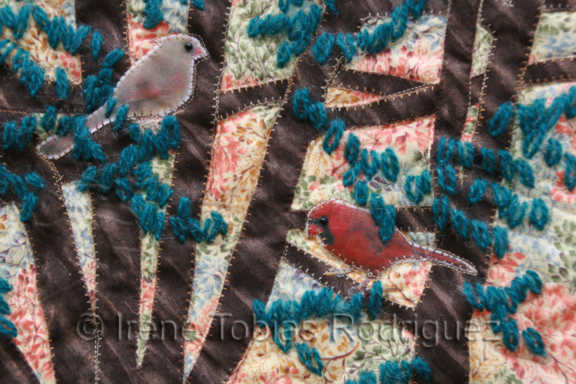 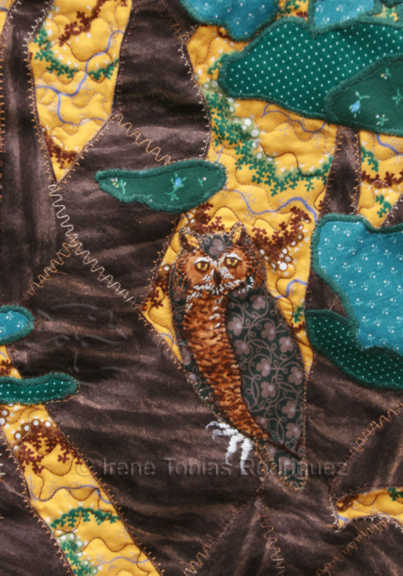 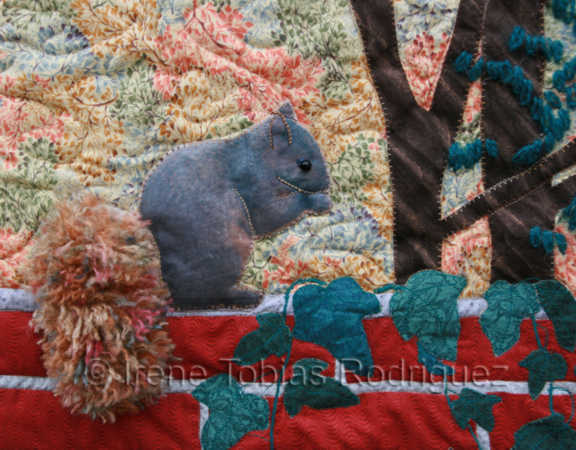 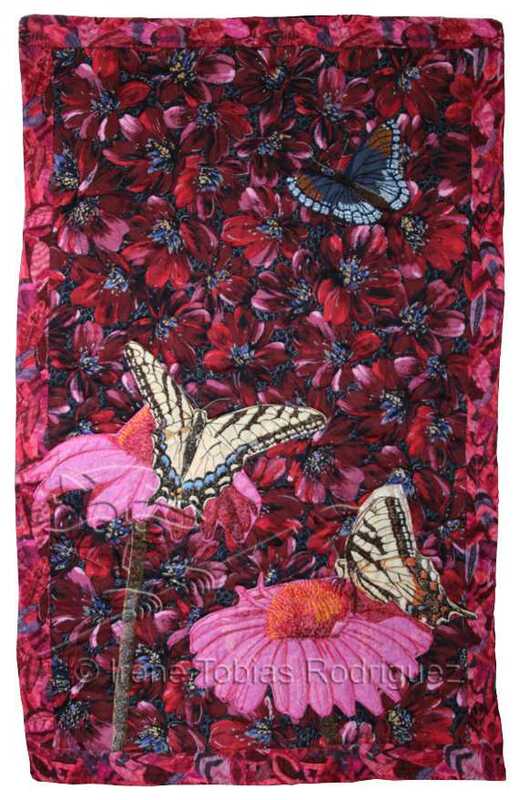 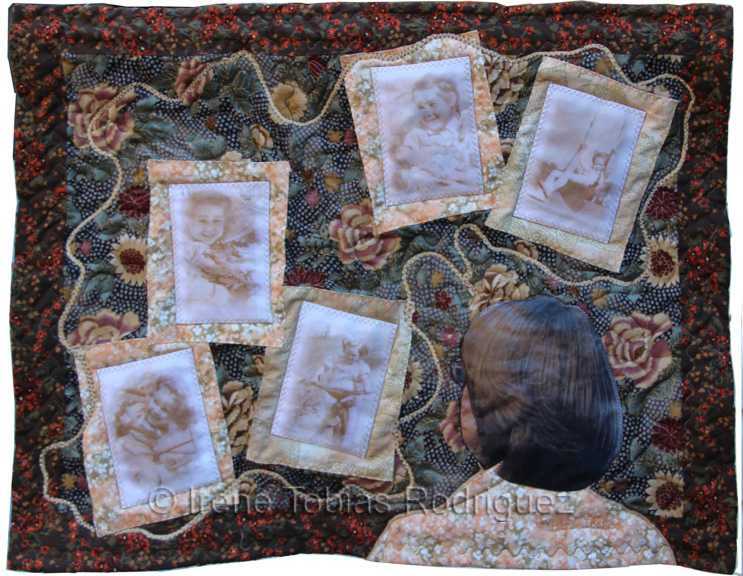 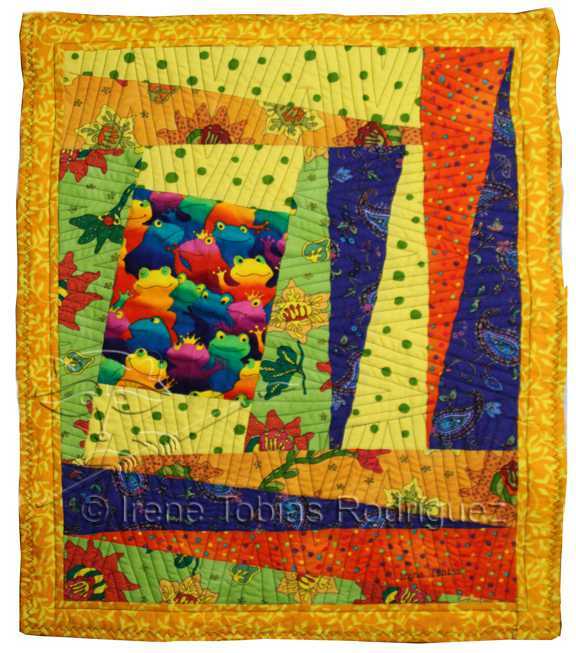 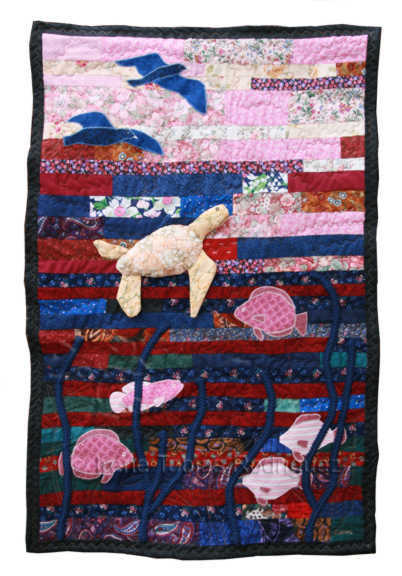 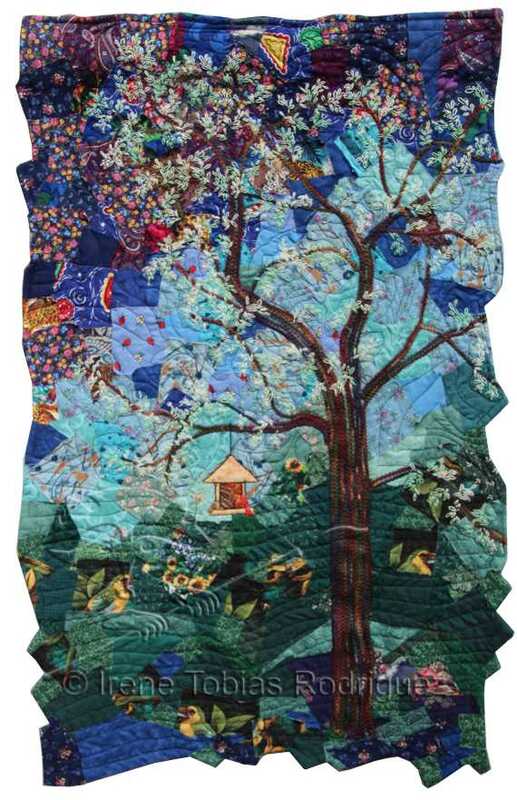 Irene's quilts are original designs. 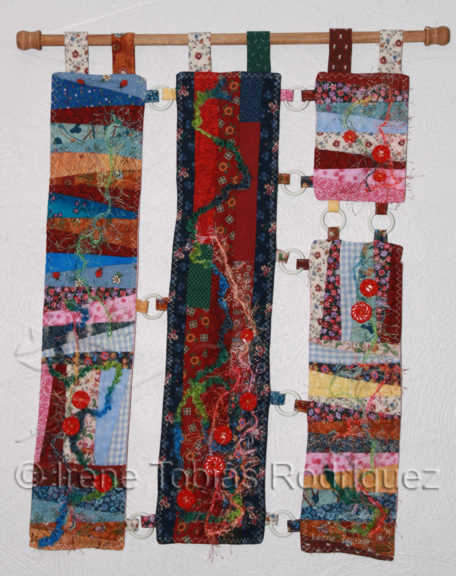 Those displayed here are wall hangings. 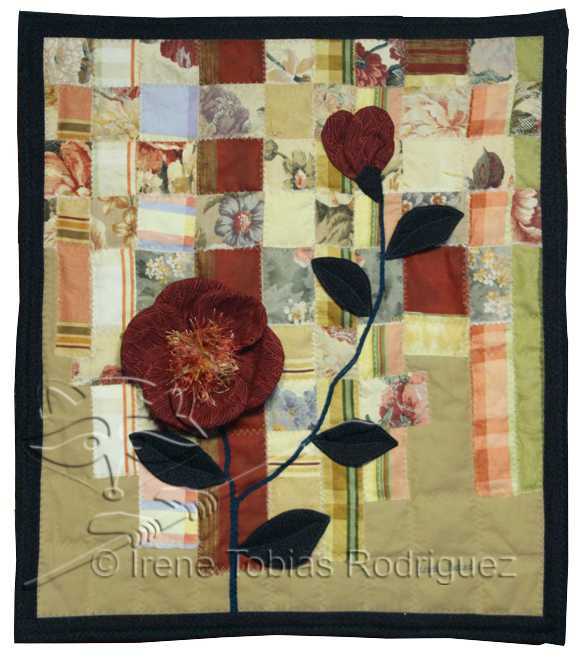 Irene has also created full bed quilts. 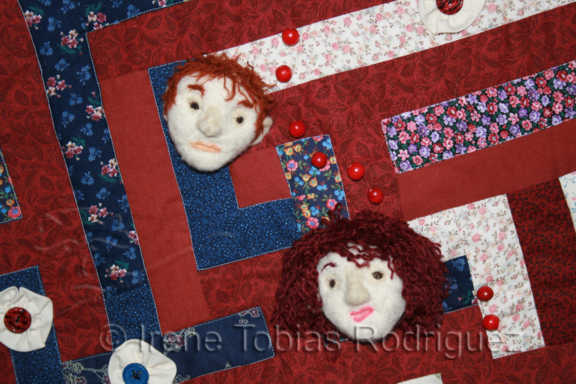 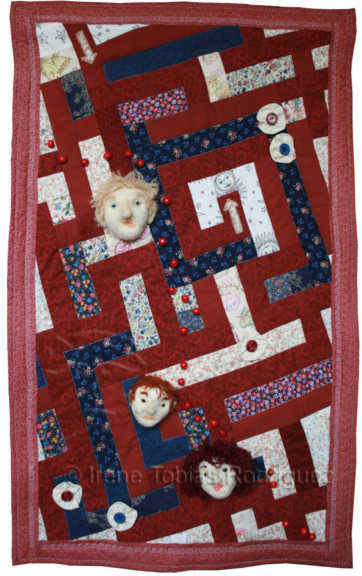 Heads in this quilt are hand felted wool. 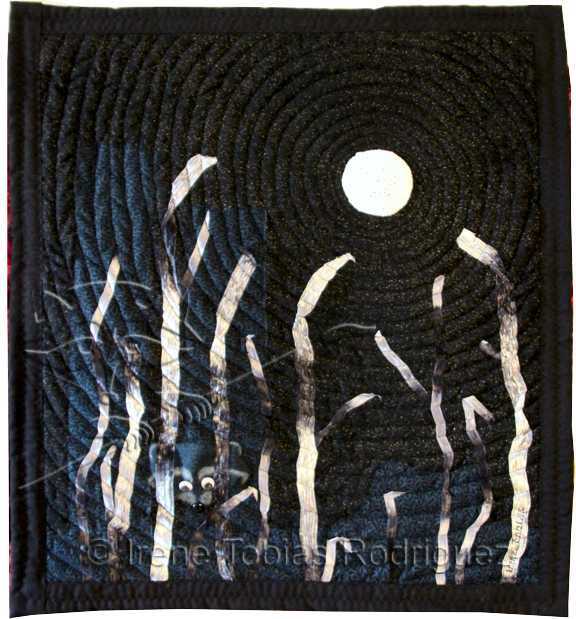 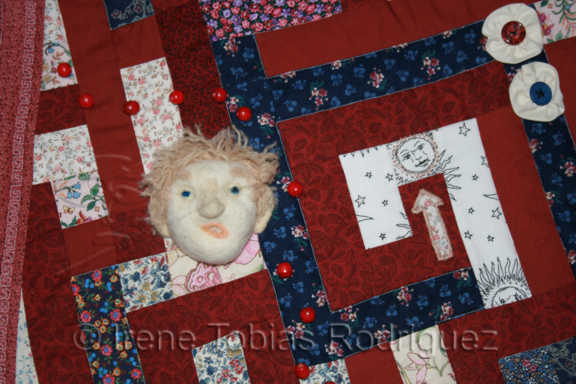 Head in this quilt is hand felted wool.